Tsumugine will have a new performance named “◯”. The performance will held at “OPEN SITE 2016-2017 Project A ＜Recommended Program＞”organized by Tokyo Wonder Site. The venue is Tokyo Wonder Site Hongo which is the same space where we performed our first performance “Ne,” 8 years ago. We will show a new performance which evolved through the leader Yasuno Miyauchi’s New York experiences during her stay there. Please come and enjoy it! 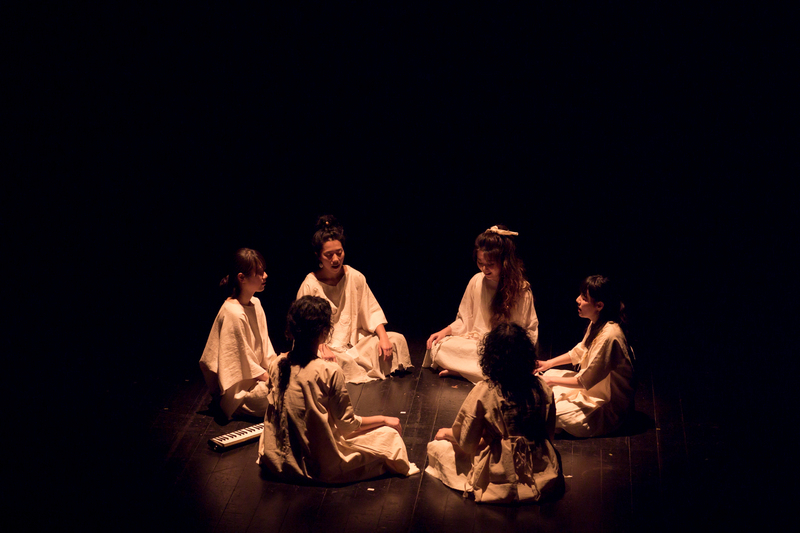 “○” is Tsumugine’s new performance work. The title has many meanings – circle, community, all things, and emptiness. The title transcends language and refers to the origin of everything. This is like a ceremony which may be held at the beginning of spring to celebrate a return to the source and rebirth. 1. Booking should be made by E-mail or Fax. 3. Payment should be made at the venue on the day of performance. 4. Booking will be closed by 17:00 of the day before each performance, or as soon as the seats are fully booked. For the latest ticket information, please check this page. Please see the details on this link page.